When you want to convert a photo, video, or audio file from one format to another, it's far too easy to get bogged down in settings, unable to make heads or tails of technical jargon. Permute saves you from that trouble by taking care of the details and converting files incredibly fast. To start a file conversion, just drag a file into Permute's main window or onto its dock icon, click start, and you're all set. Permute is faster than ever too. 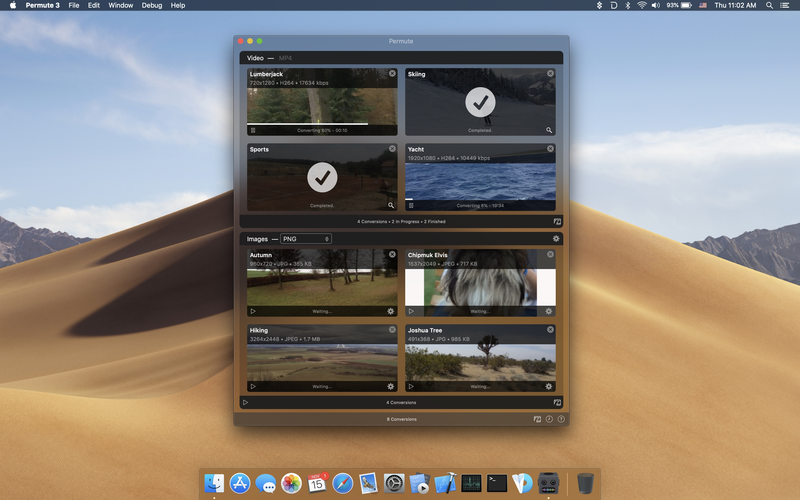 With the recent launch of version 3, the app supports an incredibly long list of file formats and has added hardware acceleration for MP4 and HEVC files. The app also has presets for a long list of Apple hardware so you can match your end results to the devices you use. You can even modify images and videos, adjusting their size and rotating and flipping them. Permute has a special limited-time deal just for MacStories readers. If you use this link, you can purchase Permute for 20% off. There's a free trial available too if you want to try the app first. Visit Permute's website today to learn more and take advantage of the special 20%-off deal before it expires. Our thanks to Permute for sponsoring MacStories this week.